We have been working hard to improve our writing! A good idea is to take this slowly, and focus on a different stage in the writing process for a week or so before moving onto the next. By that I mean, look at one stage in depth and detail and cover it with more attention than the others (you may have to cover each step in a week). Take a closer look at 'planning' this week! I have found that getting students to DRAW rather than write their plans and ideas is a great way to produce more detailed and exciting stories in your classroom. If students are reluctant to draw, ask them to jot down words instead of full sentences - this might help them to get started on a more rich and powerful text as they are starting from a point of ideas rather than panicking about correct sentences! 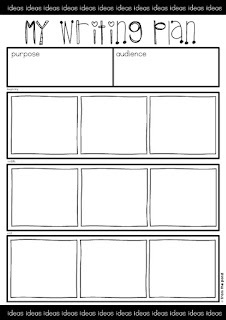 Download from google drive, a planning sheet I have made to help your students with their writing. Ask them to identify their purpose and audience first. 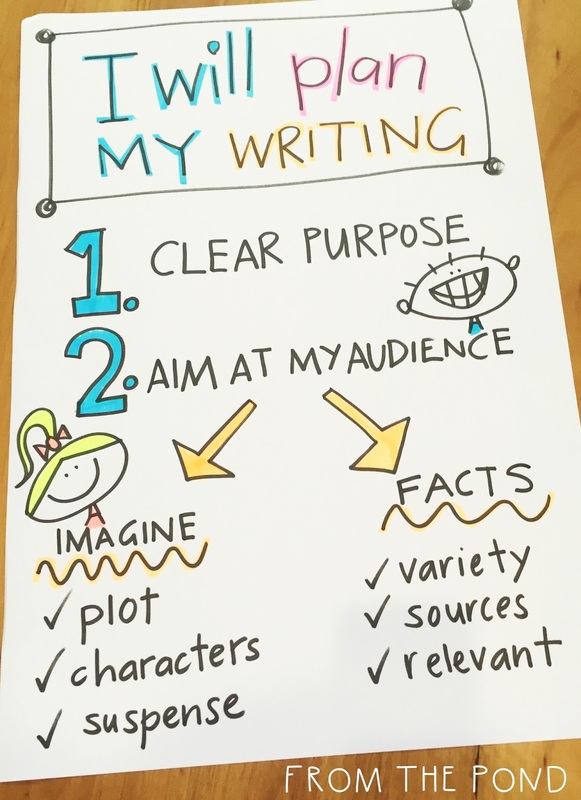 Challenge them to think of three ideas for each stage in their writing (beginning, middle and end). 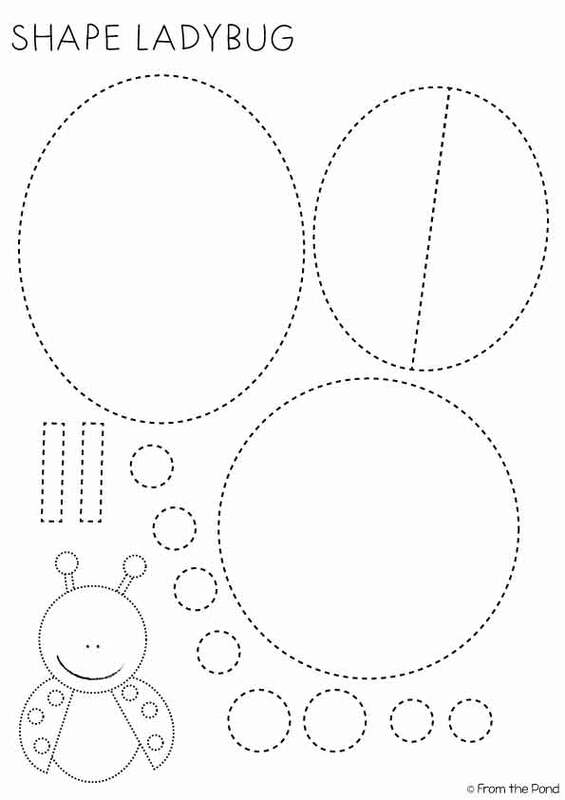 I have a free printable tracing worksheet for your little pre-writers! 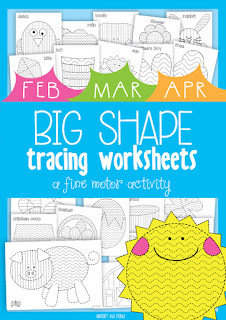 My 'Big Shape Tracing Worksheets' will give your students plenty of opportunity to trace lines, trace patterns, get ready for writing and create a nice bright happy picture in the process. 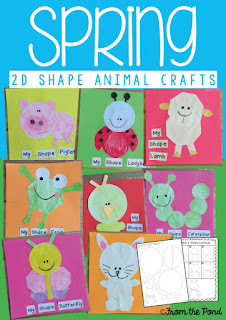 If you would like more projects to keep your students engaged, click on the image below to find my new packet over at TpT! I hope you are having a relaxing and wonderful weekend. 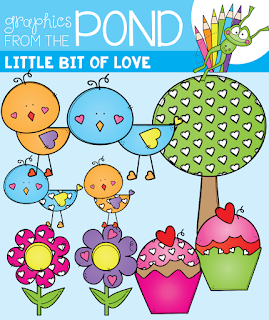 I wanted to share with you, some updates on my clipart store. 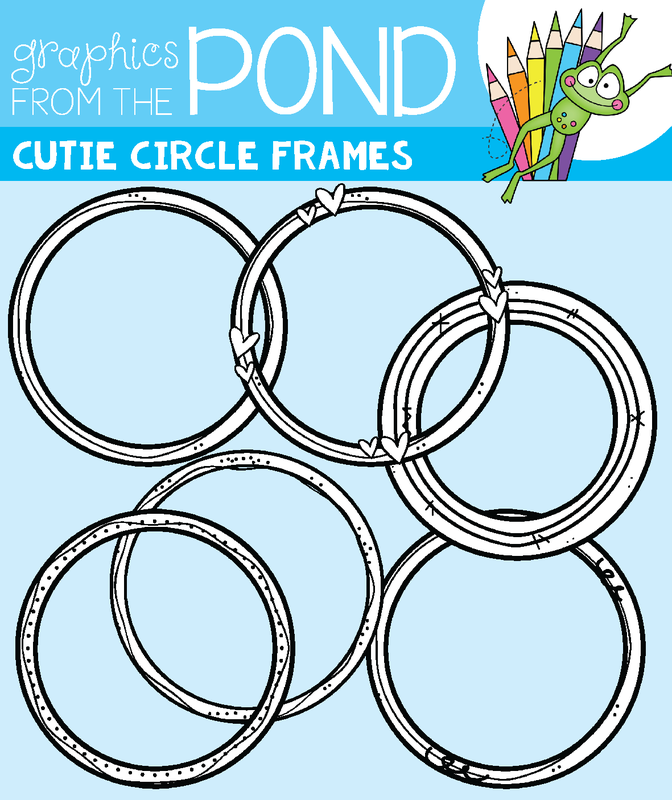 Head over to TpT to find these cutie circle frames! 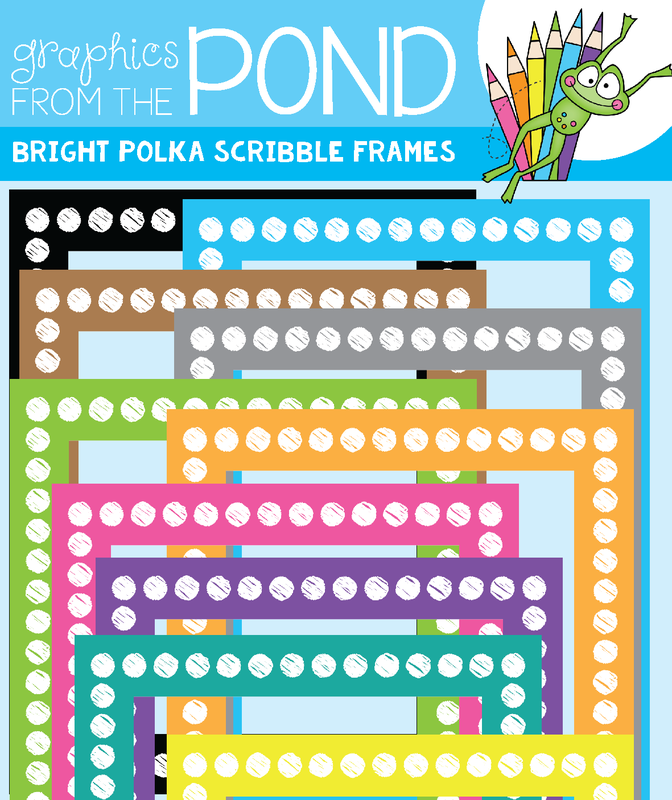 I listed a new set of frames - bright polka scribble frames! 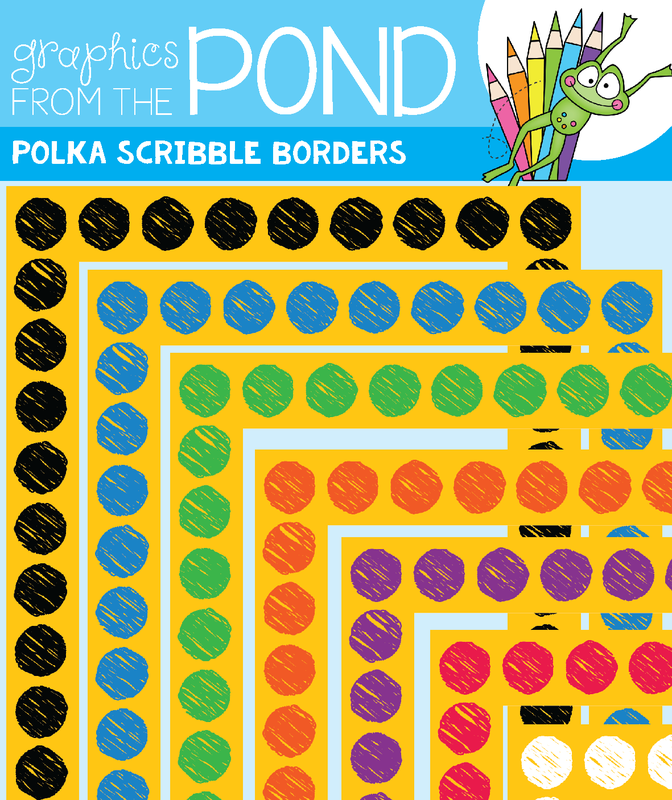 The original set of 'polka scribble borders' has been updated for a better page 'fit'. 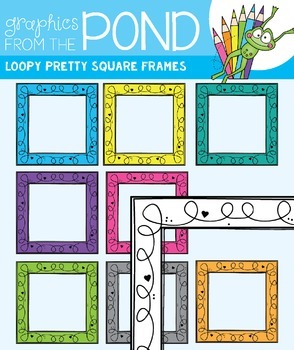 And love this new pretty loopy set! 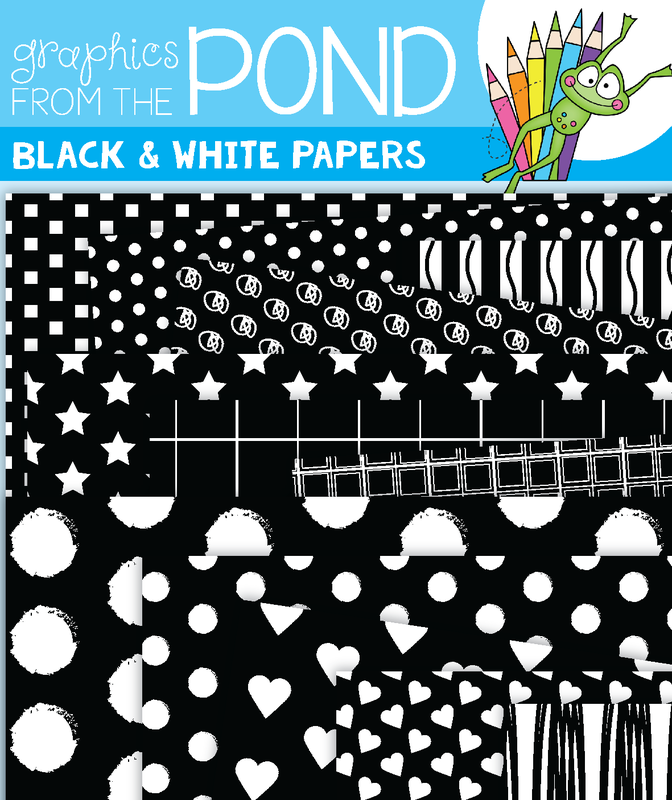 The black and white pages set will make your covers and resources pop! 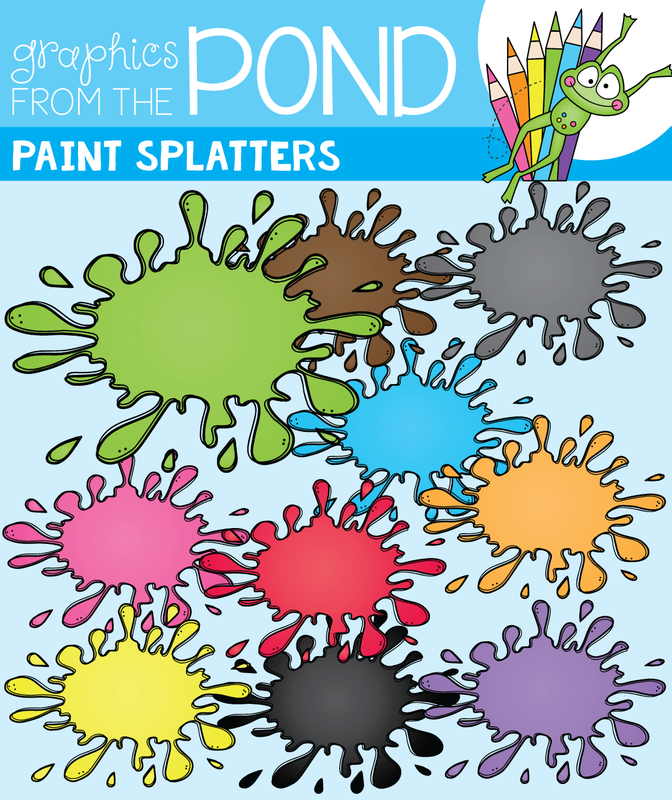 I revised the color palette and shape of my paint splatters. Here are eight things I Try to do before I leave my classroom for the day - but especially for the weekend. When I spend 10-15 minutes 'organizing' before I close the door, my week flows much better and I have a more relaxing weekend. This is just basic housekeeping and a courteous way to leave the room. It makes things instantly feel more organized. Get the children to help with this one, before they leave the room. 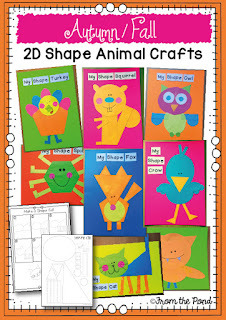 Every piece of paper must have a home in your classroom! Imagine that you are about to teach the first hour of the next day / Monday - what do you need? Have you got everything physically ready? Check to see what is coming up over the next few days. Write a to-do on a sticky note of anything you must get done at home. Stick it on the front of your planner. If you have a chalkboard, or whiteboard, clean it (where appropriate). It will help you start the day fresh. Sounds OCD, but it helps children to settle. 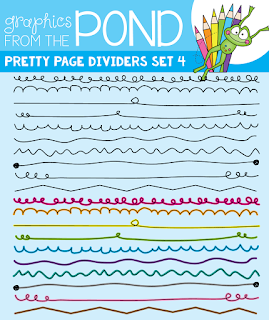 Line things up, turn pencils around, books in order - keep things neat! 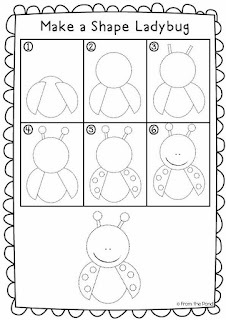 Ask the children to help with this one too! You will not have a well managed room if things do not have a place. The kids have to know with 100% certainty where everything 'goes'. 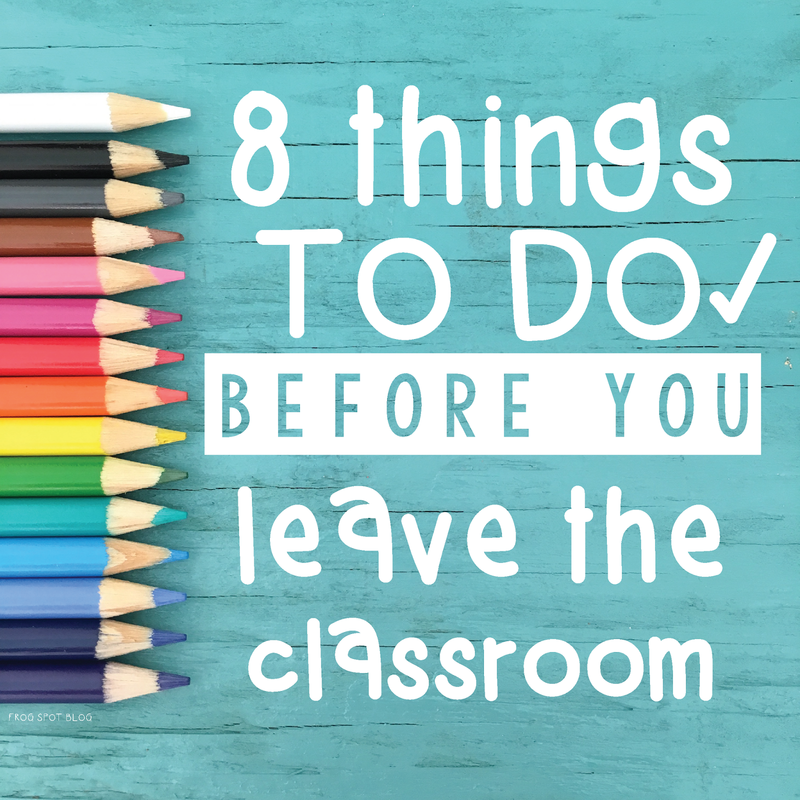 Make sure everything is in its place before you close the classroom door! Once you get in a pattern of doing these things, it will take minimal effort and have a huge impact on your classroom. Have a wonderful day, thank you so much for stopping by! 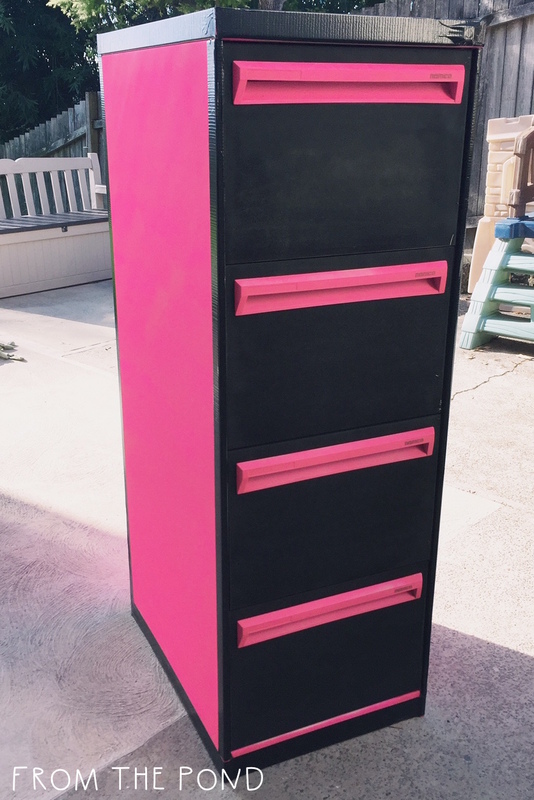 I made a very ugly set of filing cabinets all bright and cute over the summer! 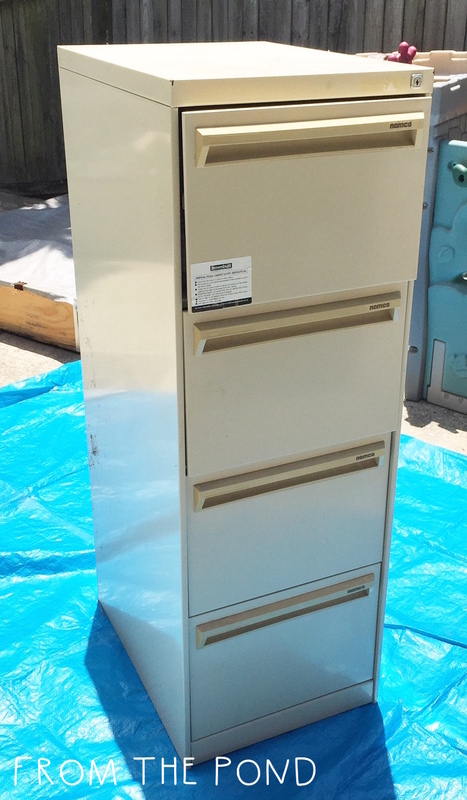 We got this 'beauty' for $70 when an office was closing down near where my husband works. 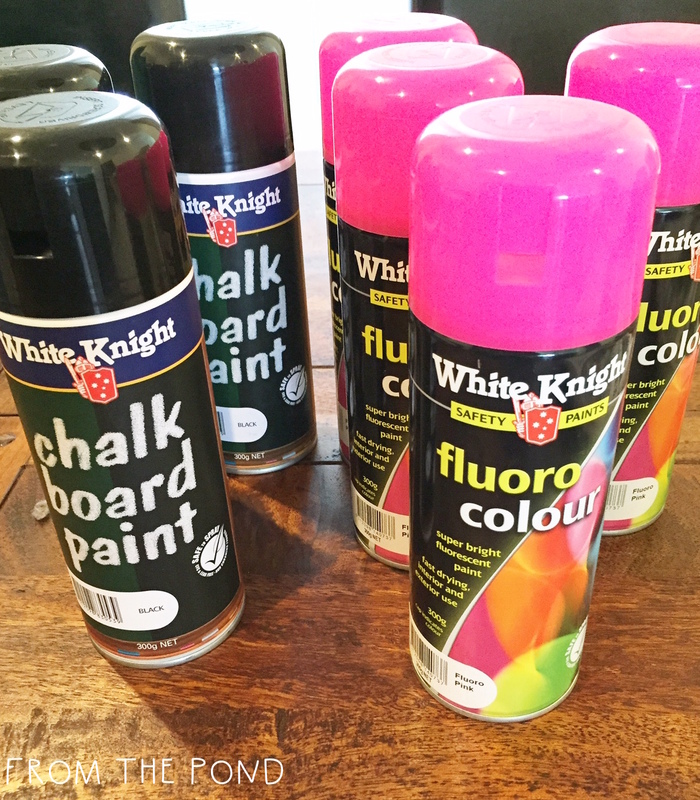 I found fluoro pink spray paint and black chalkboard paint! The tricky part was masking up and covering the different parts while others were being painted. I had to spray about 6 coats. We took the plastic handles off and sprayed them separately. 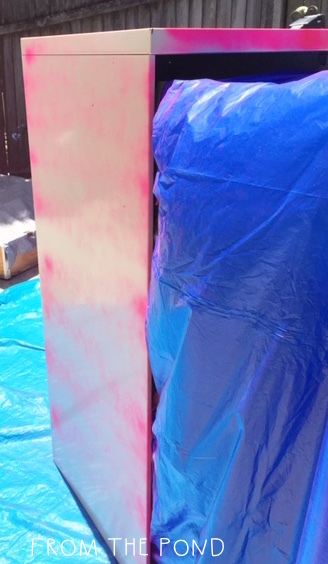 I left the cabinet in the sun to dry for an hour or so between each coat. If I did this again I will look into some sort of primer to go under the first coat. I am going to use this cabinet for all my numeracy activities and games. I store each in a clear plastic document wallet and am going to divide them up into ability stages. 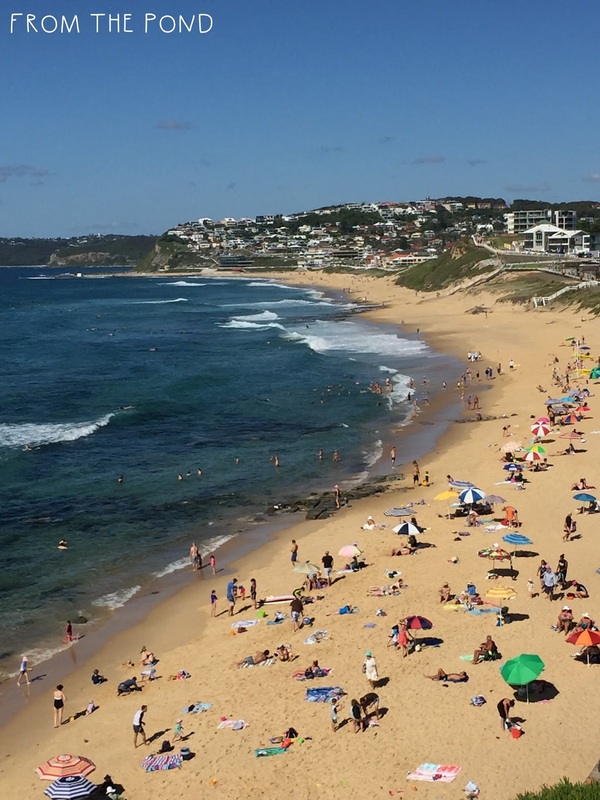 In my state of Australia we can use a Numeracy Continuum to assist our planning and assessing. It outlines a progression of learning so that students can work on problems within their skill level area. This helps them more easily move to the next level or step on the continuum. This cabinet will house all my games and activities divided (roughly) into four different 'groups' (steps). Hundreds of hours could be spent analysing each resource that I have and continue to find. I have been teaching long enough and am confident enough to quickly review an activity and allocate it into a grouping. Group 4 - Students are beginning to use / are using mental strategies for addition. I would use this rough allocation for every aspect of numeracy and divide my resources into the drawers. Nothing too time-consuming - just taking a skill, viewing it as a series of gradual steps and then allocating a drawer for each. If a skill has more than 4 steps, I might combine a few into the one group. I also am equally as comfortable and confident in quickly allocating a child to a group to match their area of learning. 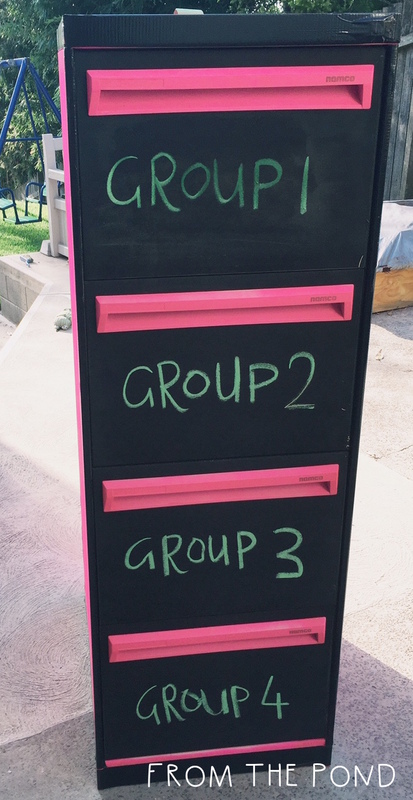 I like to keep my groups fluid and can easily change students between groups as needed. I will blog in more detail about math groupings in an upcoming post. 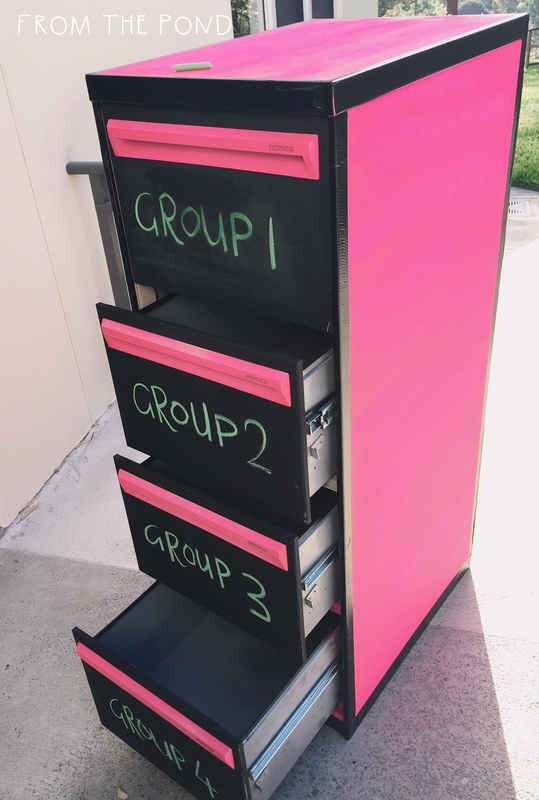 I love the chalkboard drawers - I can quickly write on the front and change them if I need to in the future. Thank you so much for stopping by - have a great day! 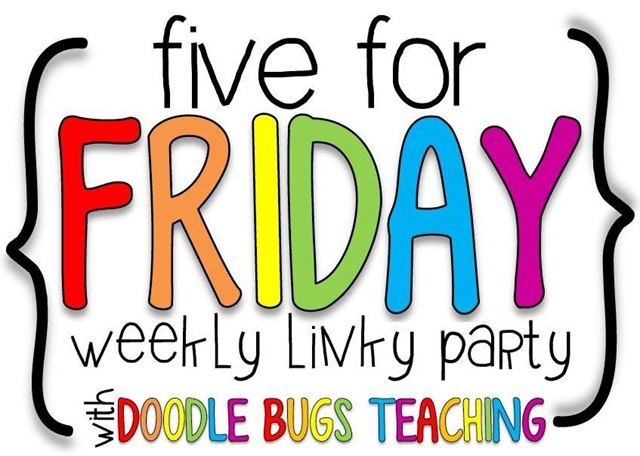 Five for Friday with Kacey! 1. Robot Double Digit Addition - new this week! 3. 5am drawing and I have graduated to coffee. 4. Big planner for big plans. 5. Have a wonderful Valentine's Day. 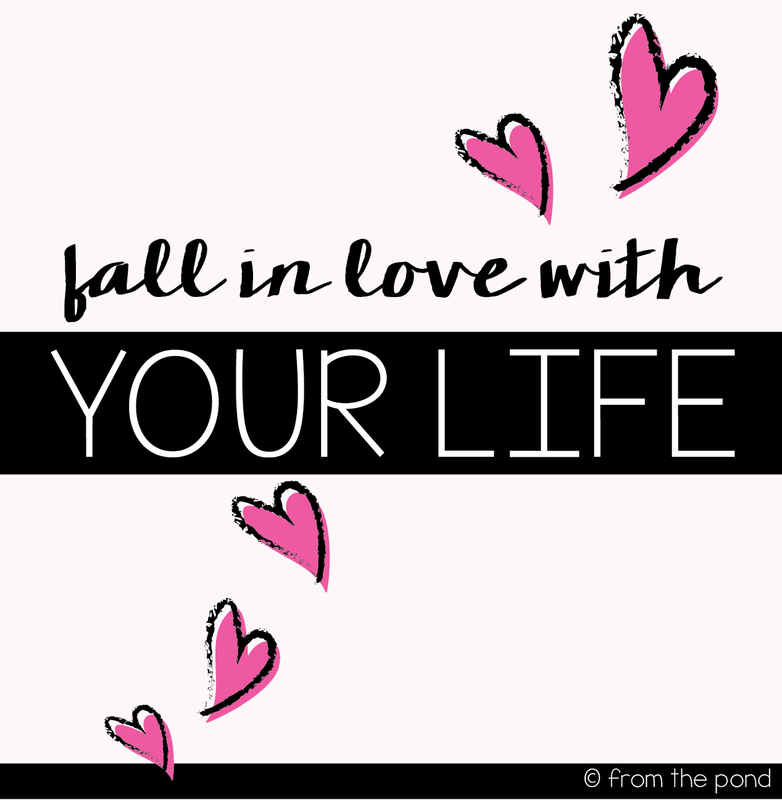 There is only one guaranteed way to be happy - be in love with your life. When you truly are, you will only have love for the lives of others as well. Put your armour on, get out there and don't let anyone dull your sparkle. Ever. Find more posts to read over with Kacey! 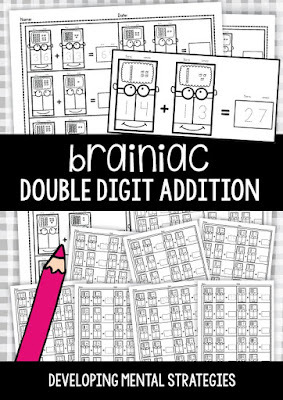 Double digit addition may not be pretty. Just putting it out there. To save tears and possible 12 hour post-lesson headaches, I created some fun 'visually supportive' worksheets that will help your students understand what you may or may not have spent two hours trying to explain. Not that I would know ANYTHING about that. Ahem. Cough cough. Even after time spent playing with hands-on equipment and such and such, one may still find that talk of 'tens' and 'ones' and 'mental imagery' and 'partitioning' and 'combining' evokes many glazed-over-eyes. 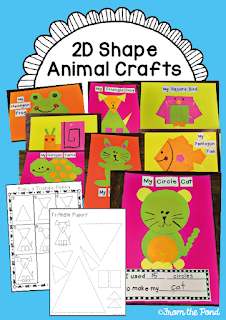 THESE worksheets will SHOW students what all the talk is about. They may even assist in 'planting the seed' that creating pictures in your mind helps solve problems. 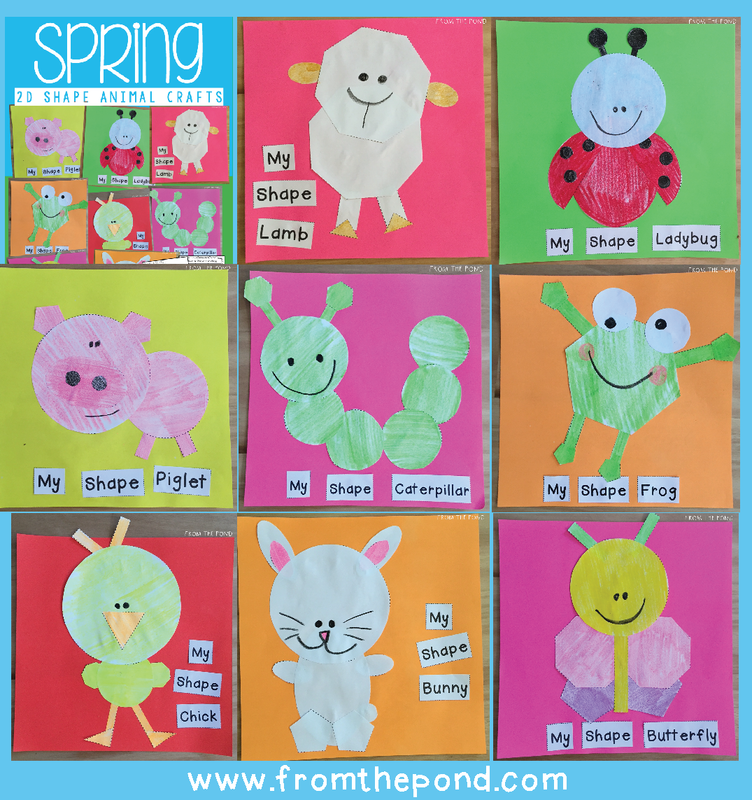 They involve numbers less than 99 without regrouping - build confidence with these before moving onto trickier stuff. They are 50% of today in my TpT store. 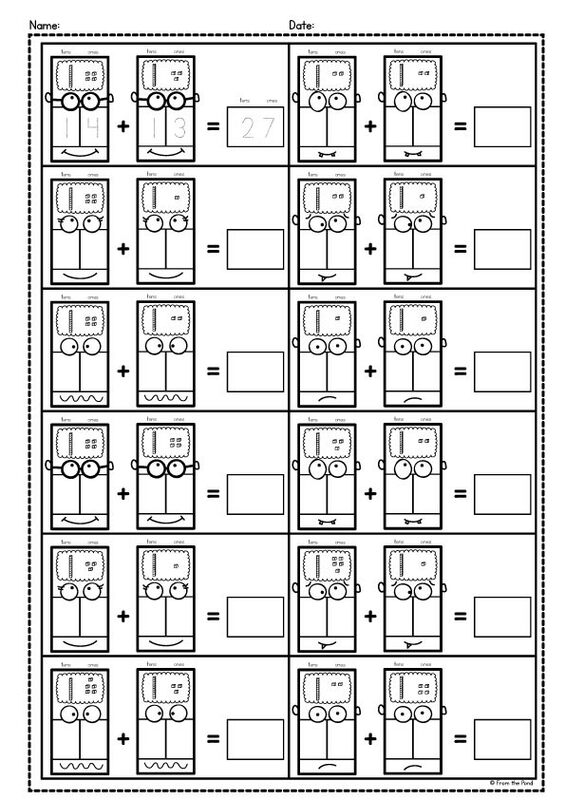 Tell your students that mental math can be difficult because not only do they need to hold a picture in their mind, but they might have to hold onto that picture and create a second picture, and then come back to the first picture and then combine it with the second. Perhaps just show them these pictures! They will 'get it'! Along with plenty of hands-on play with blocks. Thank you so much for visiting, have a wonderful day! Happy weekend! 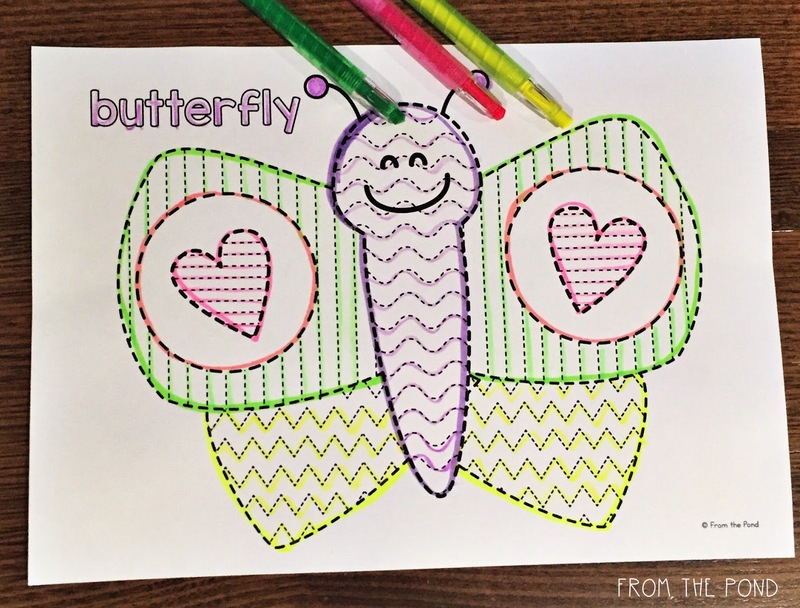 I hope you have a little time to get creative - making things always relaxes me and is a great way to shake off the stresses of the week. 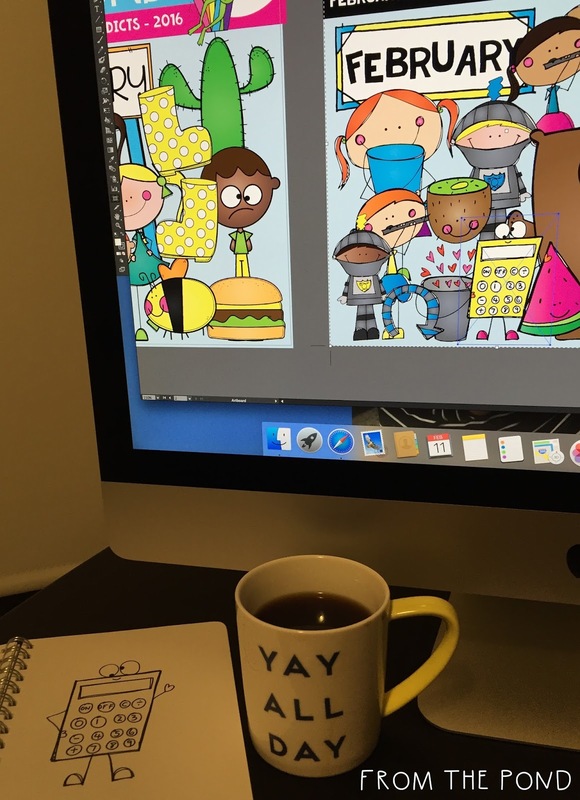 As promised, I have a post to share with you some of my 'clipart updates' from the last week or so. Click on the thumbnails to find each listing. I refreshed my 'squiggle borders and badges' set and created a spin-off with a new color palette combination. 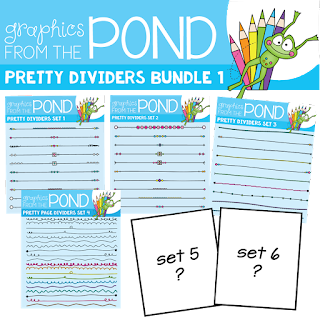 The fourth set of 'pretty dividers' were added to my bundle. Set #4 has a 'hand-drawn / doodle' theme. I listed a flash-freebie! 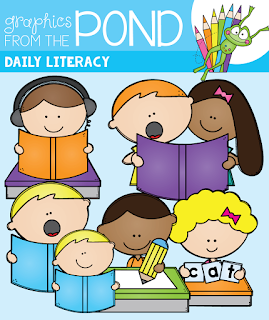 "Daily Literacy" is still free, so if you do not have it yet - be fast before it switches to paid. One of my original Valentine's Day sets was revised. Boy was that needed! Little Bit of Love is feeling all new and loved again! 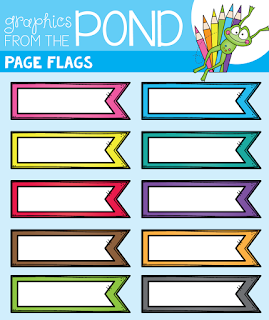 Page Flags, by request - a great addition to cover pages and posters! 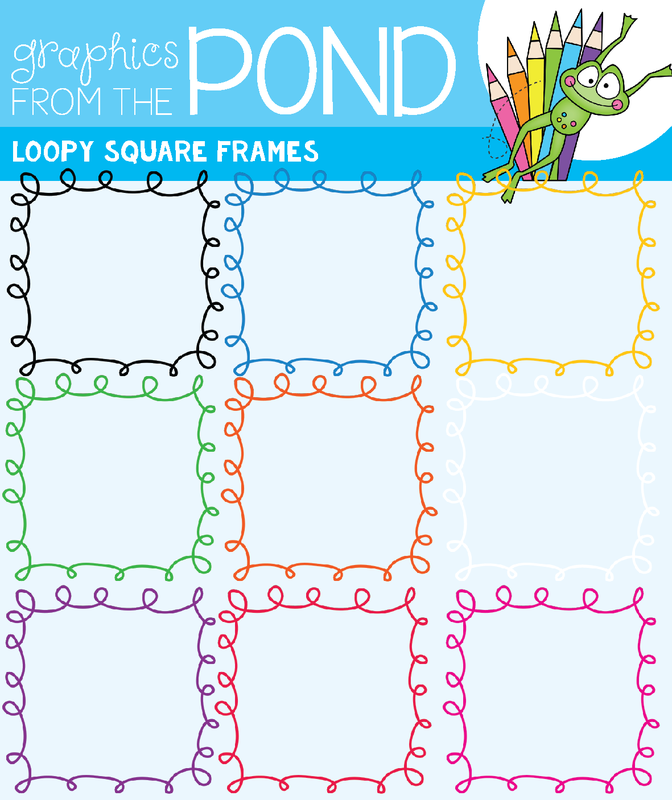 Thank you so much for stopping by - now, go get your creativity-pants on!